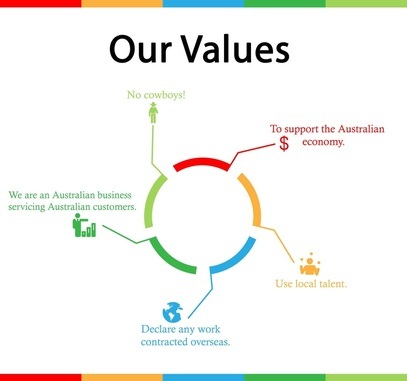 ​Our mission is to create strong agile local talent, supporting Australian businesses and the local economy. Only Cloud is an Australian Software Development company. ​We keep our development local, provide the service to suit, and work to understand your requirements.​ We hire only leading software developers who are able to understand customer requirements. ​You can be assured that the people you meet will be involved in the project, and not handballing it to other contractors overseas. ​Only Cloud was created to facilitate the need for mid-size development work up to $250k in Australia. We have continued to deliver this service, and have extended into partnerships with other industry Cloud applications to ensure we are able to advise you on whether there is a similar product that may deliver on your requirements. This ensures the best outcome for your business. ​We operate out of Adelaide and Melbourne, and have reaches into Sydney and Brisbane. Our approach enables us to service customers anywhere in Australia – after all, we are “Only Cloud” and what we develop can be accessed anywhere in the World. We are also involved in multiple joint-ventures, where we are involved in the development of our own software product. As such, we have experience helping other companies become a SaaS based company (Software as a Service).